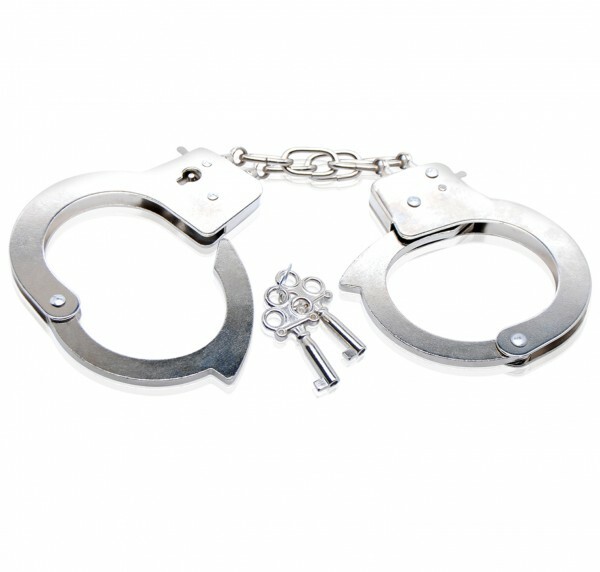 Fetish Fantasy Series Beginner's Metal Cuffs use of restraint has always been a sexual stimulant, and with theses Beginner's Metal Cuffs, fantasy becomes reality! These metal cuffs are perfect for beginners and strong enough for any level of user. The locking mechanism has a quick-release button in case you lose the key, and their sturdy design ensures they're made to play hard. 2 release keys included. Package Depth 0.75 inch. Package Width4.5 inches. Package Height 4.25 inches. Packaged Weight 3.25 ounces. Country of origin China. Harmonized Tariff Schedule HTS Code 9326909889. Fetish Fantasy Beginner's Metal Cuffs are featured in Pipedream Products 2011 Fetish Fantasy Catalog page 36. New image added February 24, 2013.